Are you using technology or is technology using you? – Vindia G. Fernandez, Ph.D. 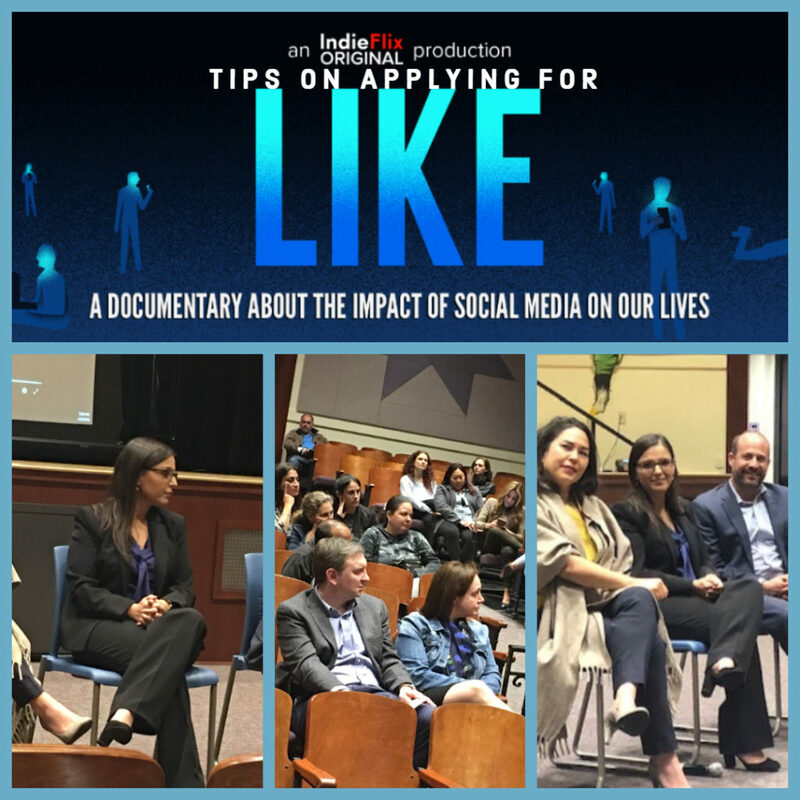 I recently had the pleasure of joining social media experts, Sue Thotz and Jonathan Cristall, at the Horace Mann School in Beverly Hills to participate on a panel discussion after our viewing of LIKE, an eye-opening documentary on social media use and its impact on our daily lives. Here are some of my takeaways from the event. I was asked by our moderator, “How is it that being more connected has left us feeling more disconnected?” and the reality is that every minute spent on social media is a minute that could be spent visiting or talking with a friend or family member. But young adults often lack the self regulation skills to limit their social media use and screen time in general, and the lack of exposure to peers in real time means they often fail to learn important social skills like how to greet others, have a reciprocal conversation, make appropriate eye contact, etc. Making and keeping friends in person becomes more challenging. Further complicating matters, young adults often lack the perspective-taking skills to realize that social media profiles are often sanitized to present the best possible version of the user and photographs are highly retouched by easy-to-use filters. It’s no surprise anxiety disorders are on the rise in adolescents and young adults. Their self-esteem suffers as they compare themselves to online personalities. Moreover, they are often left feeling left out when they are not invited to certain outings or they are not tagged on posts. And sadly, adolescents with neurodevelopmental disorders such as autism are particularly vulnerable to the effects of social media use and comorbid anxiety is very common in this population. An often overlooked detail is that exposure to blue light (e.g., from phones and tablets) suppresses melatonin production and delays or disrupts sleep. Naturally, poor sleep can cause drowsiness and lack of concentration at school, which can have serious academic repercussions. So while there are many positive aspects of social media use, like connecting with old friends and sharing pictures and important information, when it comes to adolescents, social media use needs to be monitored and limited. For additional information about social media use and important guidelines to share with your teen, please visit Common Sense Media. Attorney and author Jonathan Cristall also shares important tips about safety from a legal perspective in his book What They Don’t Teach Teens. how to find or book a screening of LIKE.